When do you change your baby’s diaper? It used to be when baby cries discomfort. 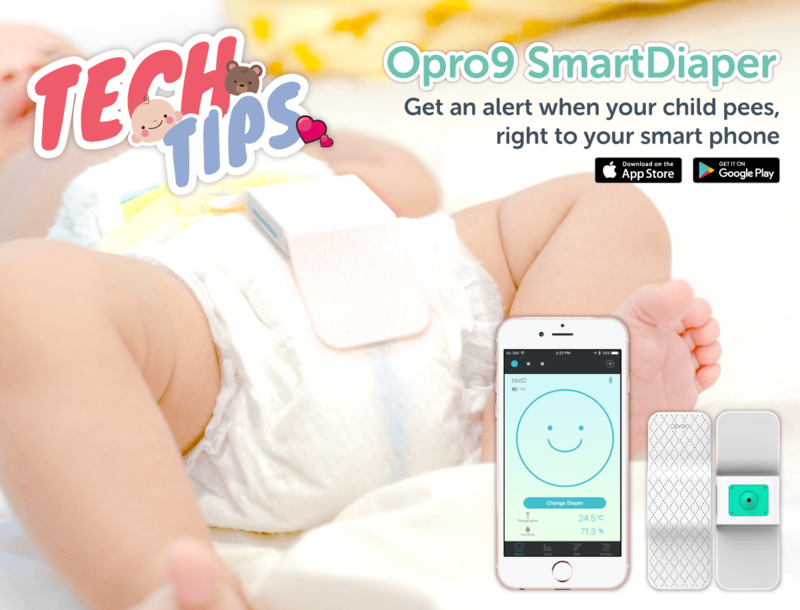 Not anymore: The App-connected Opro9 SmartDiaper silicone band to the outside of a diaper, measures humidity and temperature, alerting you when a diaper change is in order. Industry experts predict wasteful diaper changes and rashes. The SmartDiaper comes in two different sizes, for babies and toddlers, as well as an adult size for the elderly and sick. 17 years ago, Bill Gates told me flexible screens were going to be big. 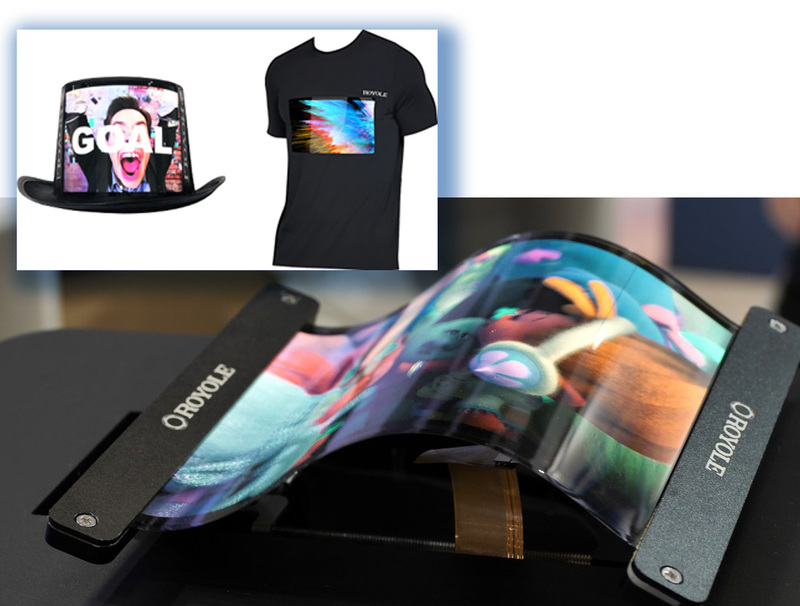 They have shown up in demo phone show models but the time seems to be right for another innovative use: display company Royole showed flexible screens on hats, bags. Other uses for this growing technology will be seen in smart homes, smart transportation and more, using 0.01mm thickness screens with e 1.00mm bending radius. The screen quality using AMOLED technology is impressive. 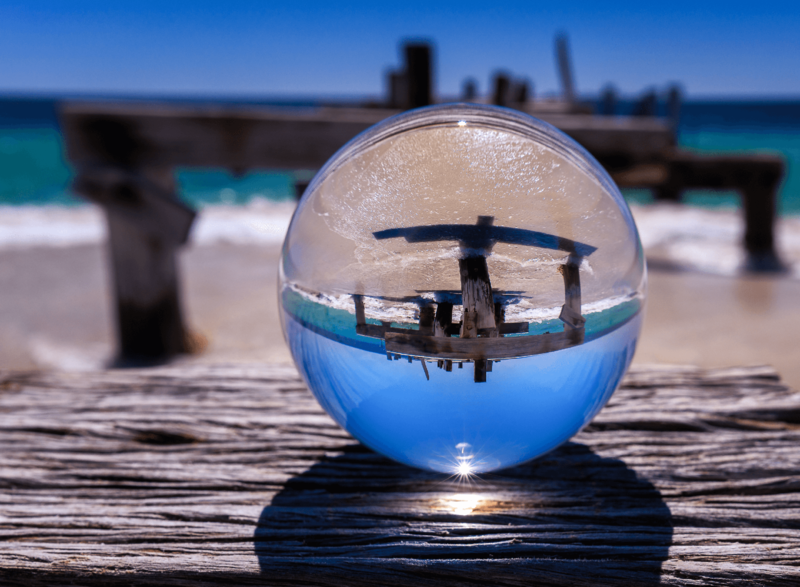 Photography company Rollei simple idea of crystal balls provide interesting analog distortions of the world when you look through them but become digital when you shoot them up close with a phone camera. 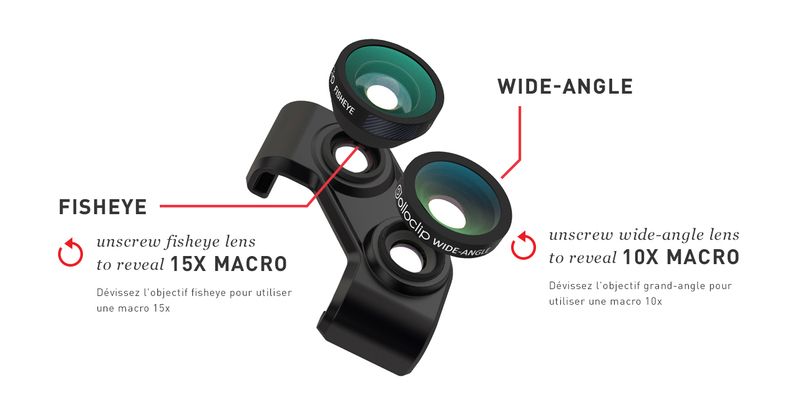 No more OlloClip iPhone envy for the well-known optical lens attachment maker. The snap-on lenses are now available for almost any smartphone in the Android world. 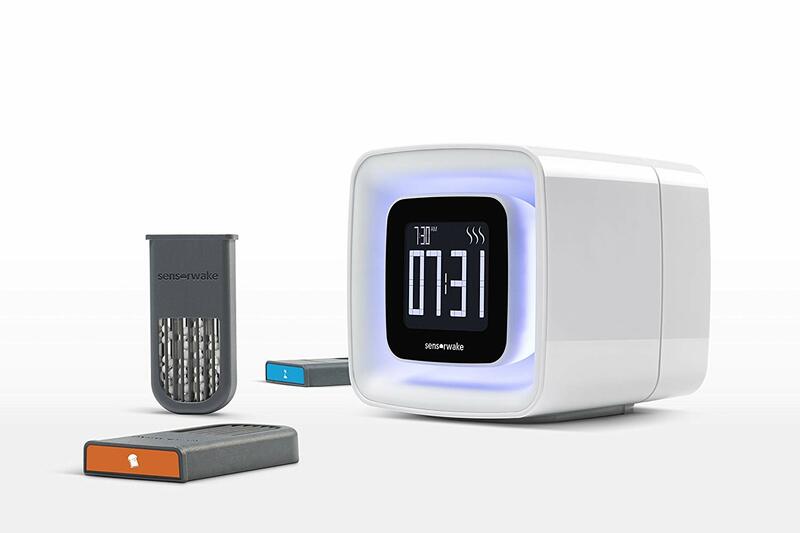 If you are tired of traditional wake-up alarm sounds then check out the Kickstarter Sensorwake 2 alarm clock from Bescent. 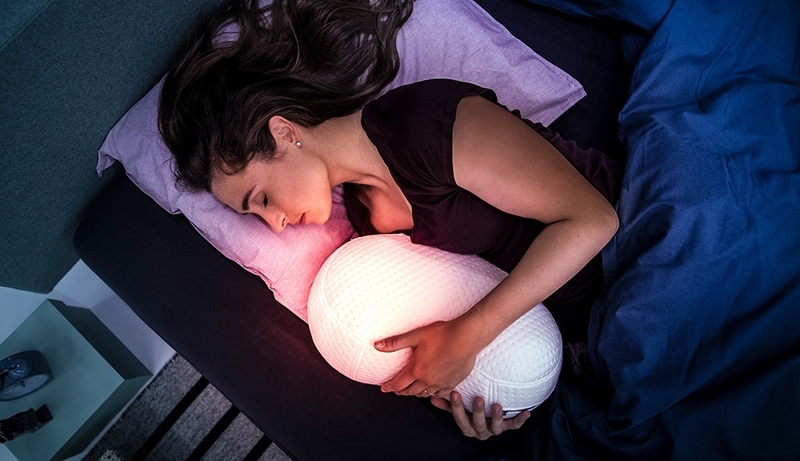 It uses a user-controlled mix senses like smell, sight and sound. For senses, you plug in from a selection of pods – compatible with 1st Generation of Sensorwake & Sensorwake Trio pods. Imagine wake up to apples, citrus, cinnamon, citrus, peppermint or fresh coffee. Behold the Predator Thronos. 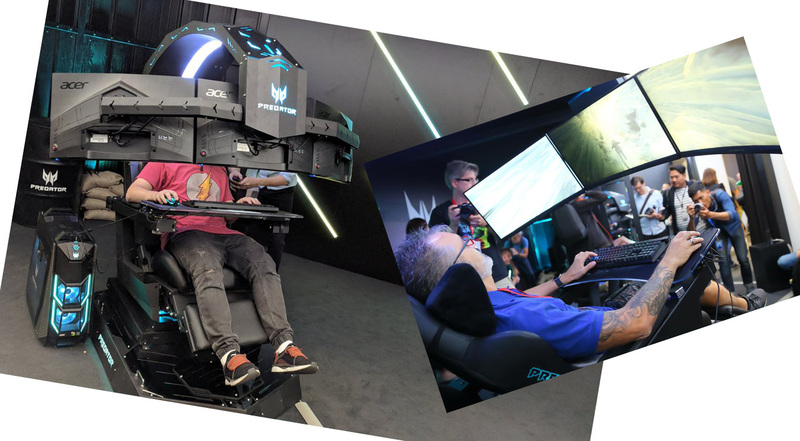 A 5-foot tall “motorized cockpit” Acer gaming rig, tower desktop and a vibrating padded chair that matches game action. An arching overhead arm suspends three 27-inch LCDs. After you climb onboard the curved cushioned chair, you lower the screens, wear headphones, and press a button to recline the assembly up to 140 degrees. No price announcement for the Thronos. Is there enough room in your game-cave for the Thronos? 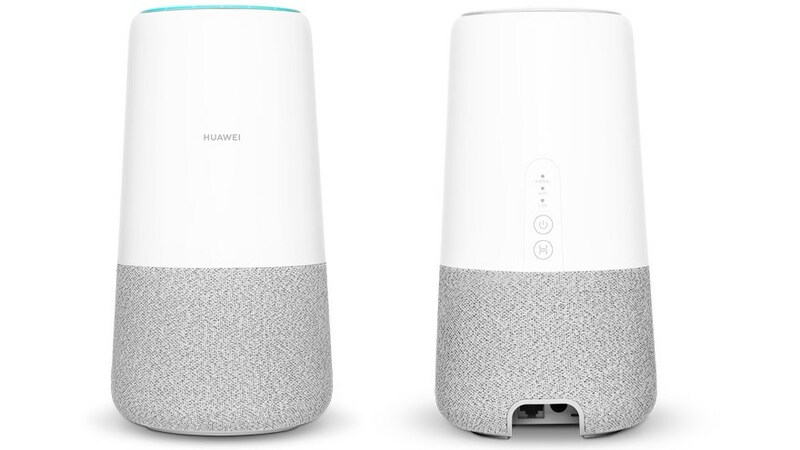 Shaped like an elongated Google Home with a flat top, the Huawei AI Cube is not just a quality directional speaker. 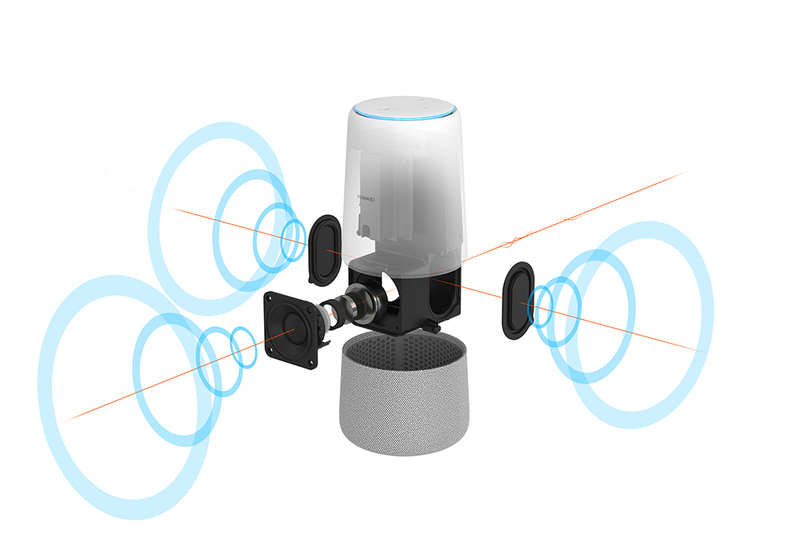 It includes a slot for an LTE SIM card, making it a 4G hot spot, and an Ethernet port, allowing you to use it as a home Wi-Fi router as well as an Alexa-enabled speaker. 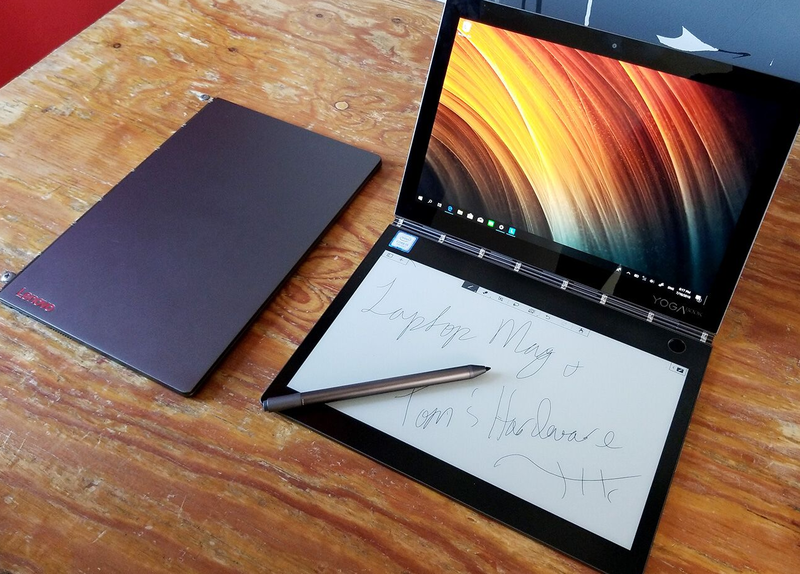 The Lenovo Yoga Book C930 is a niche a laptop as they come. This two-in-one laptop folds up as a tablet or left open like a laptop, but instead of a keyboard, its bottom half features an electronic-ink, or e-ink, display. The 10.8 inches across e-ink screen can display a keyboard or be used as a drawing/writing surface with stylus. It’s not as easy to type as a tactile feedback like a physical keyboard, an awkwardness making this laptop best for reading or creating graphics with a minimum of typing. Speaking of awkward, Lenovo left out the headphone jack in this €999 laptop.This troubling iPhone habit must stop in laptops, are you “listening” laptop makers? 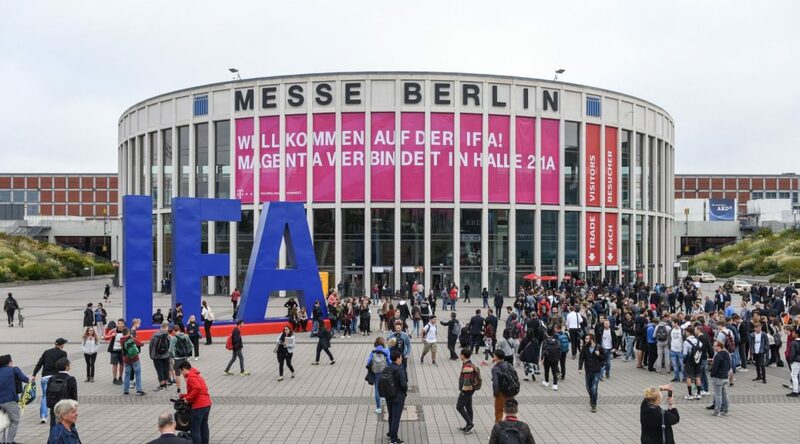 Although IFA showed the first 8K TV from Sharp at its annual spring Global Press Conference in Italy, it had another first showing both LG and Samsung consumer-ready 8K TVs at IFA Berlin 2018. LG’s 88-inch 8K QLED panel with 33 million self emitting pixels will push the big screen experience to the max with OLED’s deep blacks. 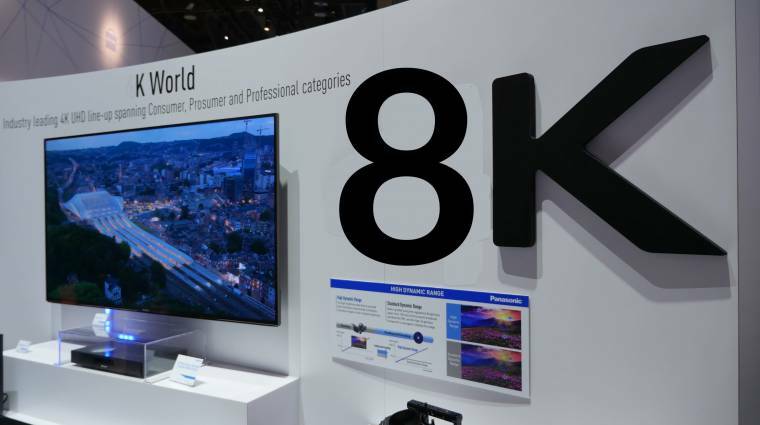 LG did not announce availability or price, but if you can’t wait, Samsung’s 8K TV’s arrive in late September. The Q900R will come in four sizes (65,75,82, and 85-inches) and feature super bright 4000-nit QLED displays with HDR10+ support and improved upscaling for lower-res content.